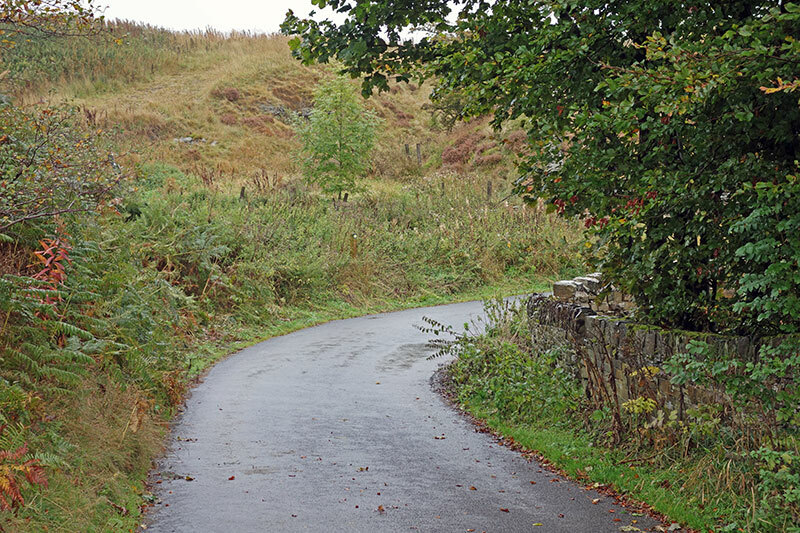 Jackson Bridge is a classic British hill climb course. Roughly 1 mile at an average gradient of 11%. The climb doesn’t allow a steady rhythm, but has four difficult sections of 15% plus, interspersed with some more gradual gradients in between. Programme: RTTC Programme 2015 – with directions / car park e.t.c. 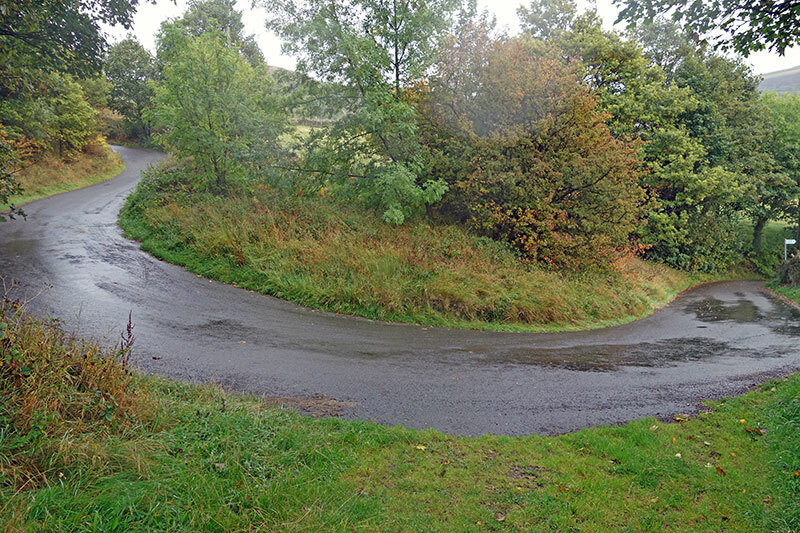 The start is particularly hard, with a gradient of around 18% around for the first right hander and then another steep left hander which takes it to 20%. After these first couple of corners, the climb then becomes more exposed. It also flattens out a little offering some brief recovery, but there are more steep sections to come, including a section of 100 metres at 18%. 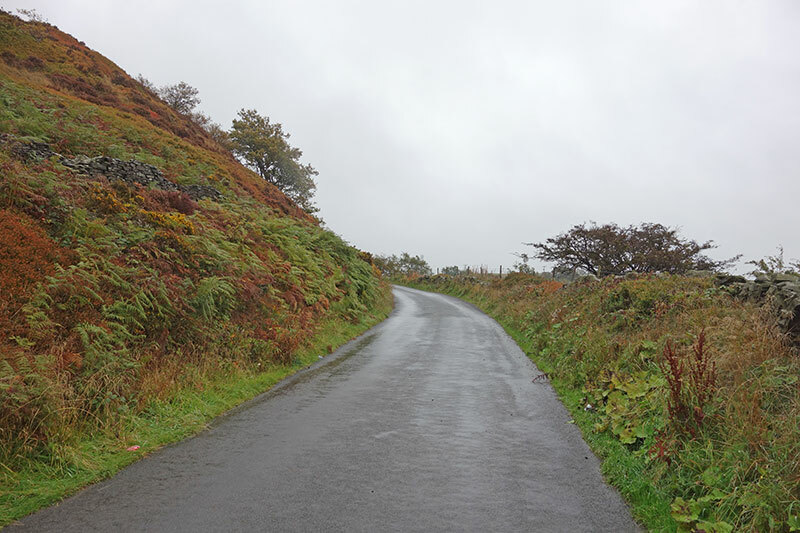 At about three quarters of the way there is narrow, (slightly downhill + therefore relatively fast turn to negotiate – you have to ease off the pedals because it is quite a sharp corner. After this, there is another last little kick for the line. Jackson Bridge near the start. The average gradient is 10.6% for the course of just under one mile – giving an impressive height gain of 150m in approx a mile. It makes it a very good all round test. 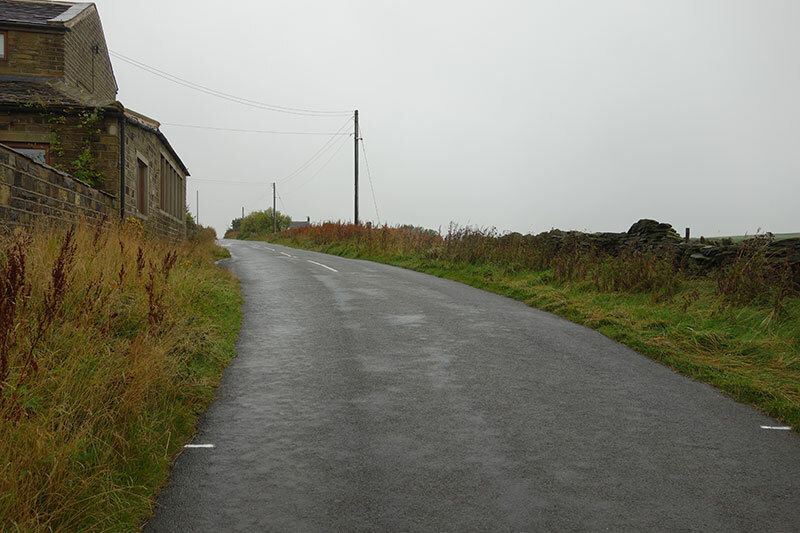 It is quite similar to the 2014 course on Pea Royd Lane, with just an extra few hundred metres; it is perhaps not quite as steep – but there’s not much in it. 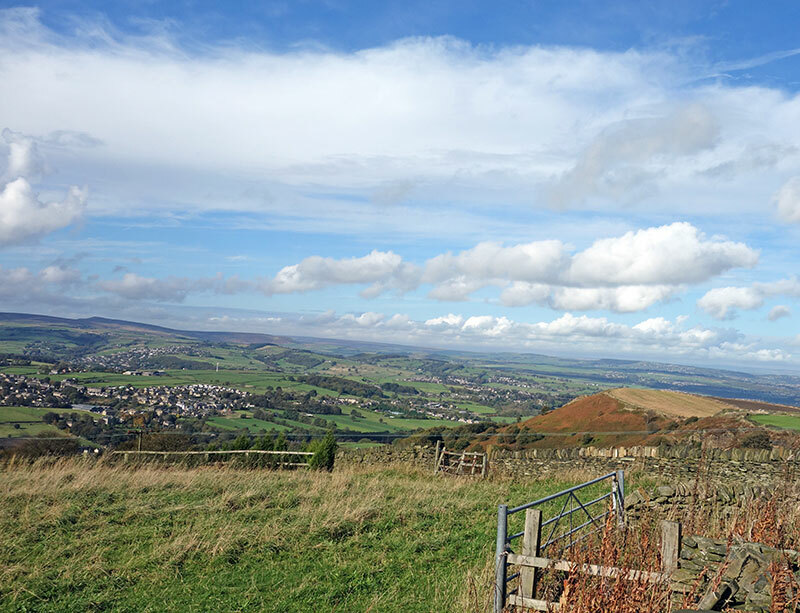 Still the extra length compared to Pea Royd Lane may just give a bit more help to those who prefer the longer climbs, and make it a little harder for those who favour the shorter anaerobic climbs. 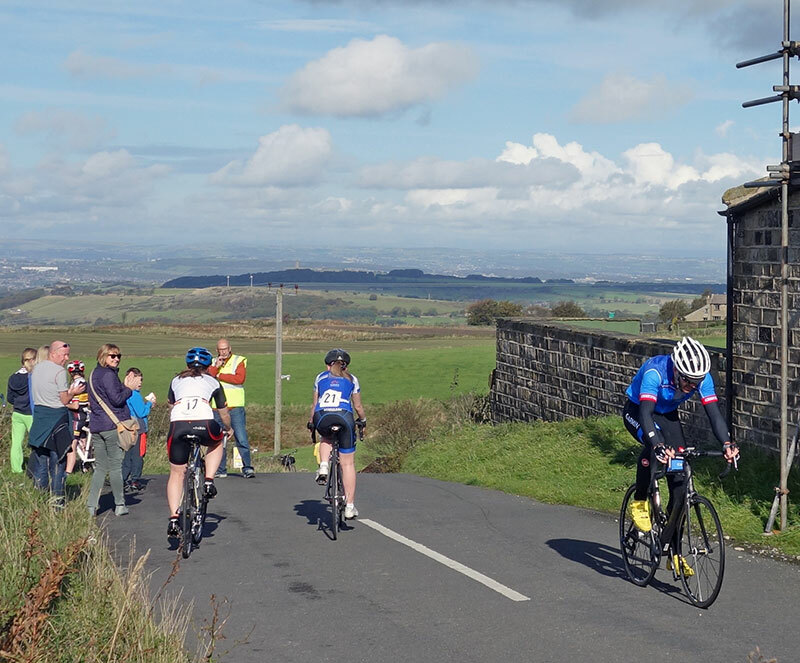 At over 10%, it will favour a hill climb specialist, who can peak for a 4 minute effort at the end of October. 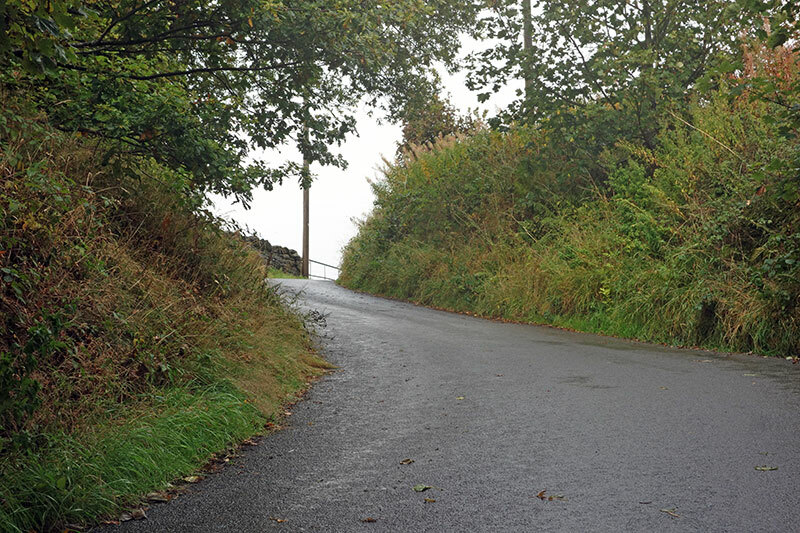 For the 2015 national hill climb course,the start will be extended by around 100 yards at the start. I reckon this will add approx 10-15 seconds on to the course compared to the open course. This is primarily so it doesn’t start outside someone’s window. 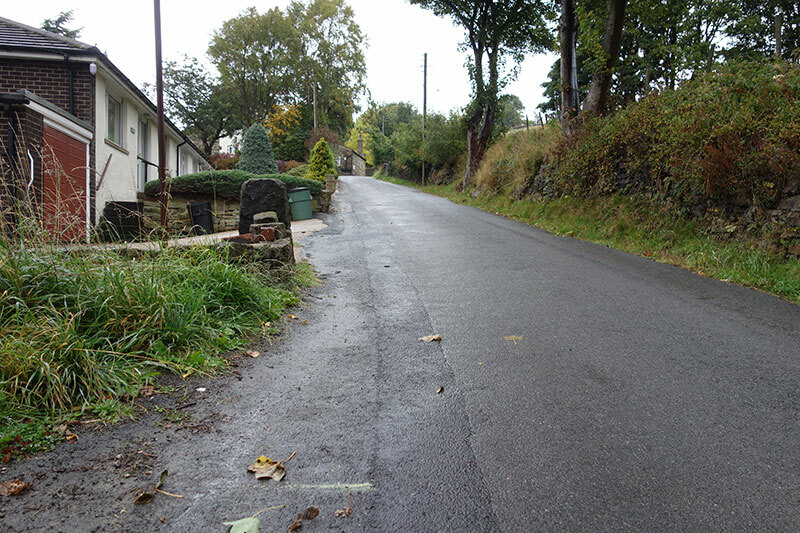 This extra 100 yards will not reduce the average gradient – it is quite steep all the way from the bottom of the road. Depending on the wind a winning time maybe in the region of 4.05 to 4.30. 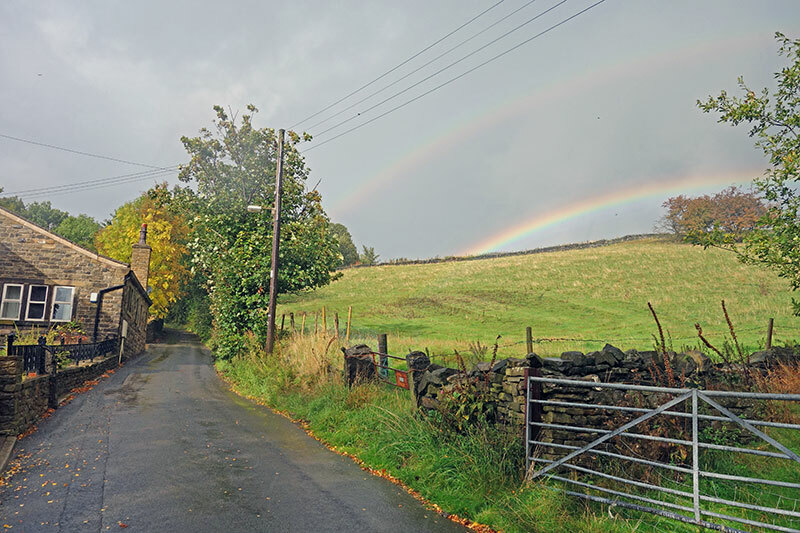 Jackson Bridge – small Yorkshire village few miles south of Huddersfield. 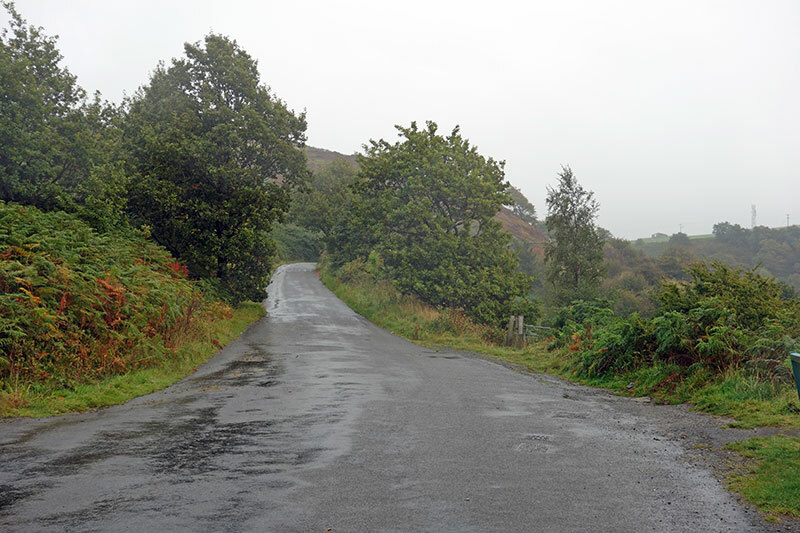 Jackson Bridge has been used for the national hill climb championship in 1994, where Jeff Wright won his first and only national hill climb championship. In 1994, he inflicted a rare defeat on five times national champion – Stuart Dangerfield. Jeff Wright finished 2nd in the national hill climb championship on six occasions, but won only once. In the north of England, he holds some very impressive course records which still stand today – 3.49 for Jackson Bridge is really flying. Only three people have ever gone under 4 minutes. Including 2nd place Dangerfield in 1994. All three medallist used 42*19 fixed gear. There was a good tailwind on the day. – Jeff Wright 1994 National champion. Cycling Weekly 1994. Jackson Bridge has featured in the Huddersfield Star Wheelers open events for many years, which also incorporates the Bradford Schools championship too. 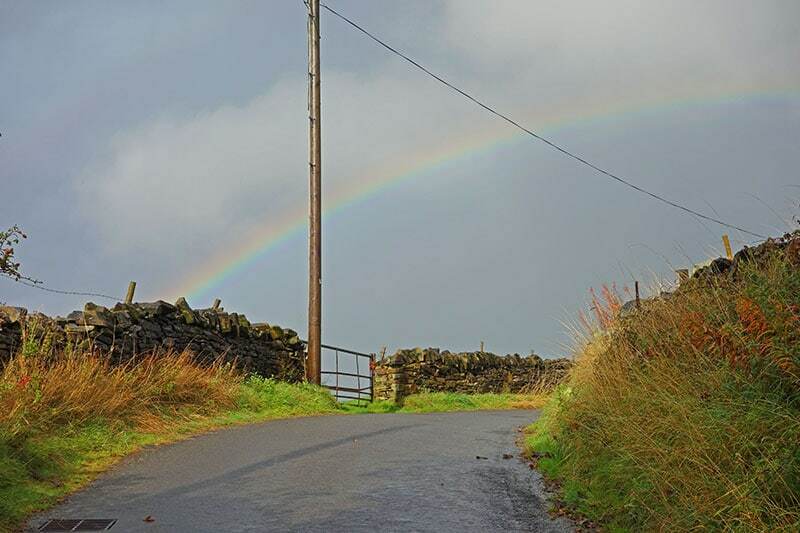 In recent years it has been run on the same day as the Holme Valley Wheelers climb up Holme Moss, which is just a few miles away. 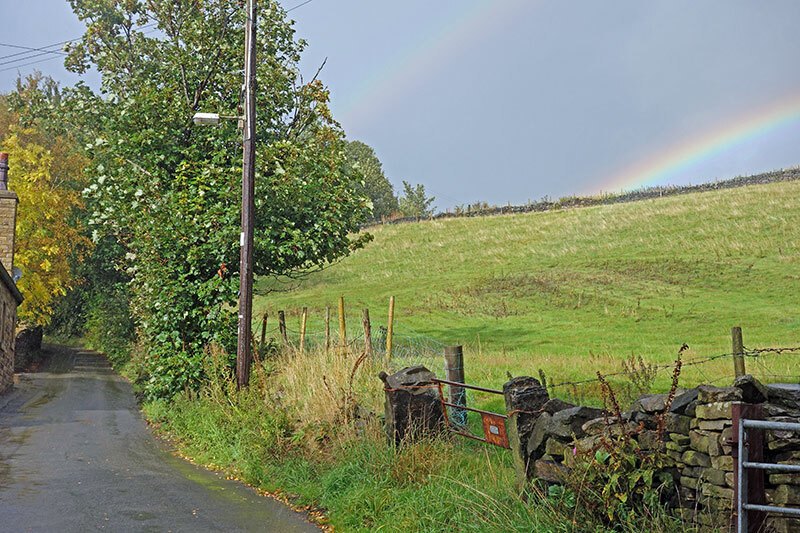 If you’re looking for hill climbs, you are really spoilt for choice in this part of the world. 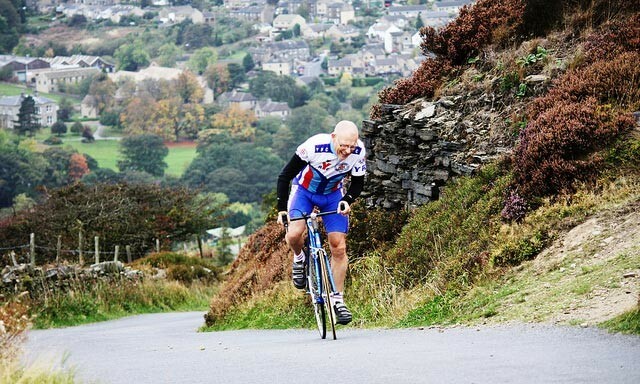 Huddersfield Star Wheelers have a strong hill climb tradition winning several team prizes in the 1960s and 70s; it also is the club of Granville Sydney who won the hill climb championship on a record six occasions. First long right hander. Steepest at apex. Probably hardest and steepest bit. Not quite steep enough for serious wheel slip. It’s half way and a kind of recovery. A great view for spectators and photographers. There is a bit of descent, which takes you into this sharp right hander. 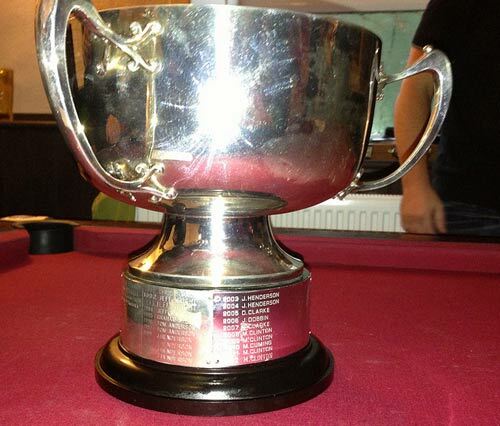 The Huddersfield Star Wheelers trophy. It is quite valuable apparently. Another rider comes to the finish. From 2014. PJ blog from Jackson Bridge. Any idea where the 2016 nationals are? 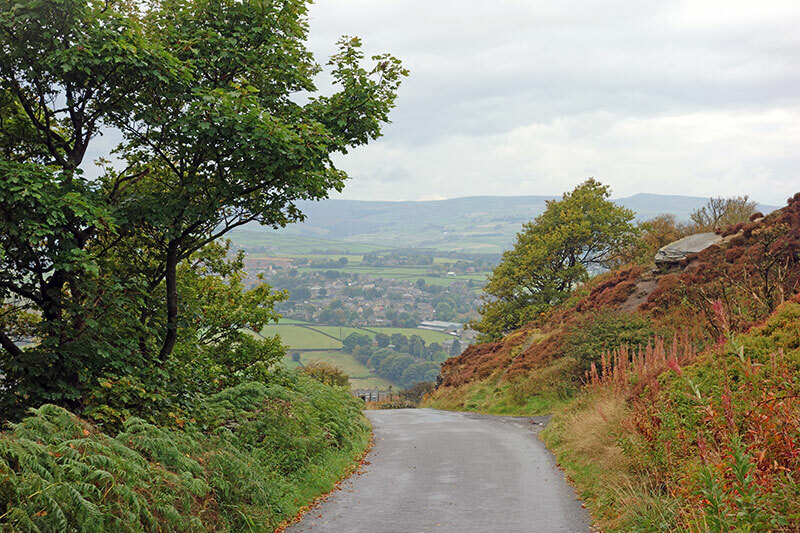 I was really disappointed to see Jackson Bridge for 2015 because as you mentioned, its nearly identical to Pea Royd There are so many great hills in the UK, including some very long one’s (Hartside,GDF, Snakes pass) It’s frustrating that the majority of the nationals courses are 3 to four minutes long and favor a particular type of rider. I don’t know why they can’t be adventurous and use hills that haven’t been used before or combine the challenge of length and gradient. GDF would be the ultimate course. 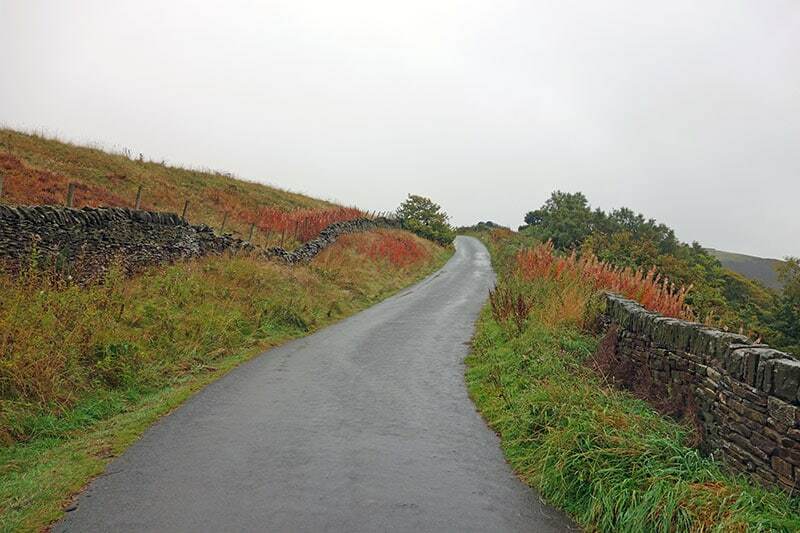 It seems to be mostly short and steep with the occasional Buxton long hill type of climb. I suppose a big draw is being able to offer closed roads, and this is usually easier on shorter climbs. Another factor is a location close to civilisation. Great Dun Fell / Hardknott pass would be really epic, but it’s a bit further to travel so you might get less riders and less spectators. Short hill climbs through town centres make a good atmosphere. 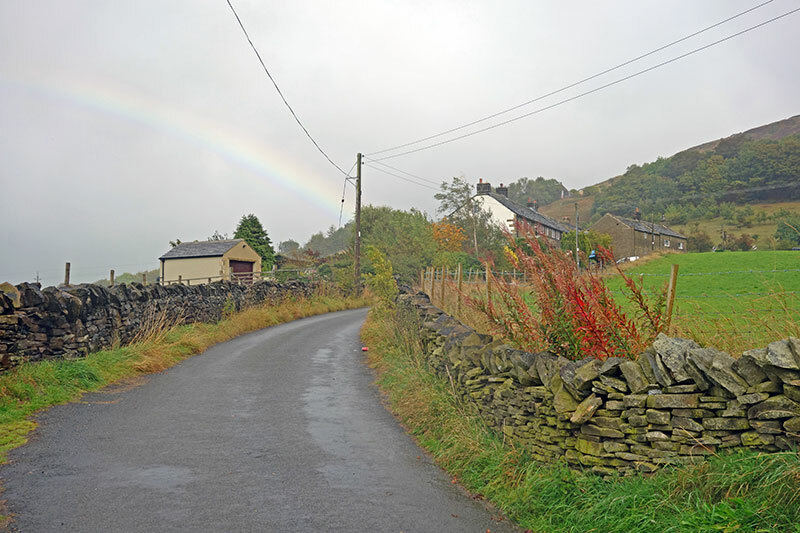 I hear 2016 is going to be same as 2008 – Bank Road, Matlock. 2.2 min climb or possibly Riber Bank 3.2 minutes. Personally I was pleased to hear it was Jackson Bridge in 2015 – I think it will be a good championship course. Do you know how and when you can apply to do it? Hi Paul, you can enter the event anytime this year up to 3-4 weeks before, however, you will probably need a qualifying ride in another hill climb to get in. You can get some details here. 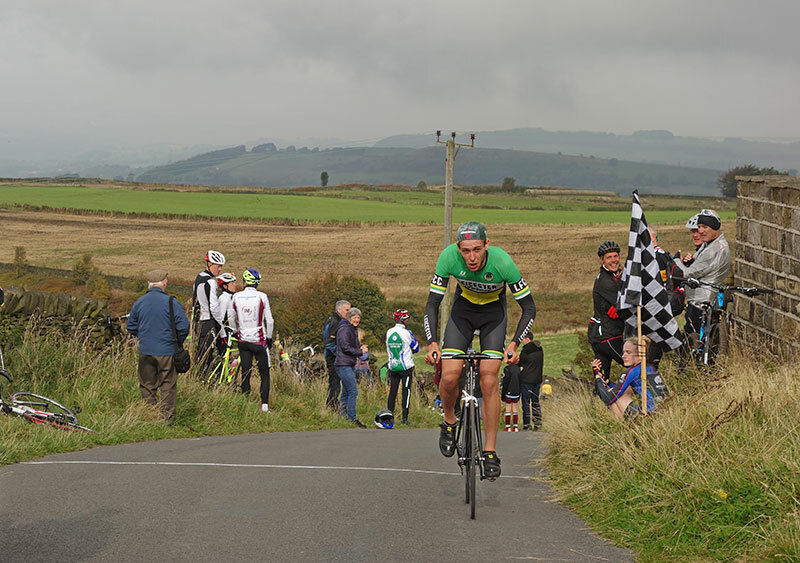 Is there an up to date list (via a link) with the hill climbs that qualify for entry to the 2015 champs? Best is to go to http://www.cyclingtimetrials.org.uk/events and look for events in Sept and October. At moment there is no list for just hill climbs. A new CTT website may becoming soon.